In my last post, I shared the benefits of solo travel, but I mentioned that it’s not all ice cream and rainbows. 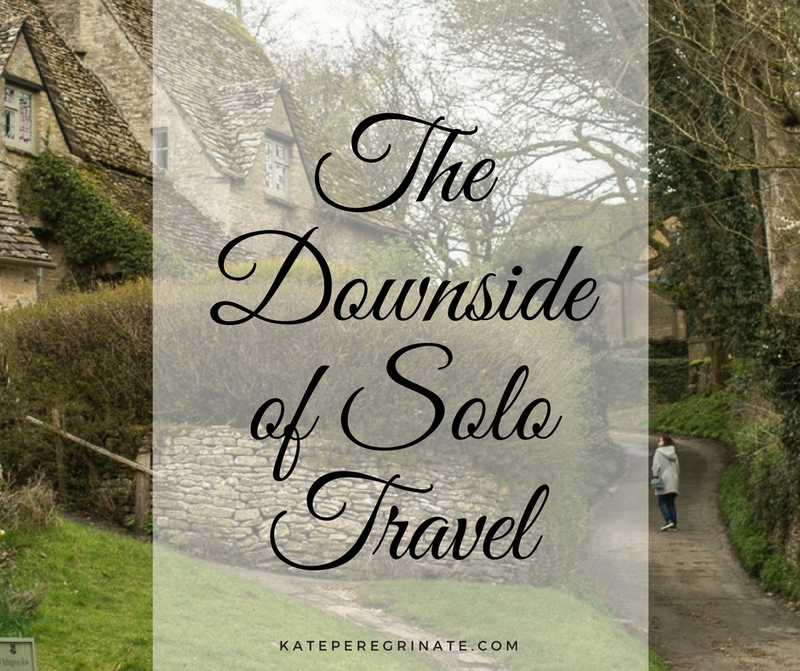 There is definitely a dark side to vacationing alone, but it’s nothing you can’t overcome! Here are my tips to manage common solo travel fears and concerns. 1 | I’ll have to eat alone in restaurants. Eating alone in a restaurant was my biggest worry when I decided to head out on vacation by myself. On my first trip, the only full service restaurant I ate at was PizzaExpress after visiting a temporary King Tut exhibition at the O2 Arena. After several trips on my own, I’ve discovered that eating alone is no big deal! It’s often the only time I stop for a long break on a busy day of sightseeing. While I’m waiting for my food, I jot down some notes about the day so far or map out the rest of the day. Most restaurants have free WiFi, so it’s a great chance to check email, social media, the bus schedule, etc. You’ll probably find some additional benefits when dining alone the more you travel. For example, I’ve been able to quickly get a table for one at tiny restaurants in London like Patty & Bun, while couples and groups are having to queue up at the door. 2 | I’ll get lonely. I’m an introvert who values my alone time, but even I still start to get lonely a few days into a solo trip. The easiest cure for loneliness is finding some group activities to join. Walking tours, pub crawls, baking classes — they are all great ways to socialize for a few hours. I also keep in touch with friends and family via Facebook and Instagram. On my most recent trip, a friend dared me to post a picture of me eating ice cream each day. It gave me a fun challenge, and I felt connected to my friends throughout my trip. 3 | I’ll have to make all the decisions. Decision fatigue gets harder the longer the trip is. When you travel alone, you have to make every decision. It starts as soon as you decide you want to take a trip and doesn’t end until you’re back home. One trip includes hundreds (if not thousands!) of decisions. I usually have a set itinerary for my first few days, but it gets a little fuzzy after that. When I start to get decision fatigue, I like to crowd source for opinions or ideas. On a trip to London, I didn’t have plans for one afternoon, so I asked my Facebook friends for ideas. On a friend’s suggestions, I ended up at St Martin-in-the-Fields, where I did a brass rubbing of Queen Elizabeth I and attended evensong. It was completely unplanned and a highlight of my trip! 4 | There’s no one to split costs with me. When you travel with others, you’re often able to split some costs, but there’s no one to share a hotel room or cab ride with when you’re on your own. This doesn’t mean you have to give up your dream of travel. You might need to spend more time researching cheaper options. Alternatively, you might decide to just adjust your budget to cover the extra cost. In England, I’ve found many hotels offer smaller single rooms. It might only save $10-20, but I’d rather save that for a nice meal than spend it on a larger bed or more floor space. After all, how much time do you actually spend in your hotel room? As for transportation, I always try to opt for public transportation (as long as it’s safe and reliable). I’ve been to London eight times, but I’ve only taken an iconic black taxi once! 5 | I can’t do X by myself. I’ll admit that I still say this one way too often. It’s hard to push yourself outside of your comfort zone without someone else by your side. Drove around the English countryside…on the wrong side of the road and car. There are a few things I don’t think would be as enjoyable on my own. For example, Hawaii definitely seems like a trip best taken with a companion, so I’m saving that one for traveling with a friend. 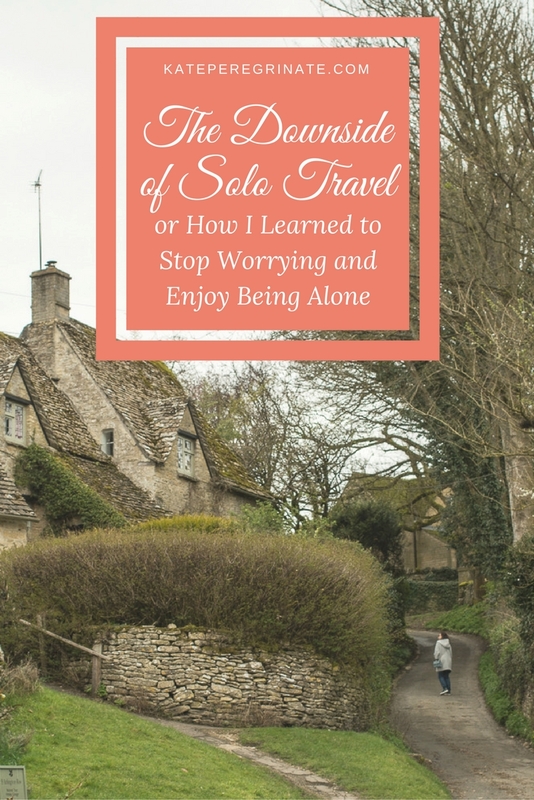 How have you overcome the dark side of vacationing alone? What tips do you offer first time solo travelers?